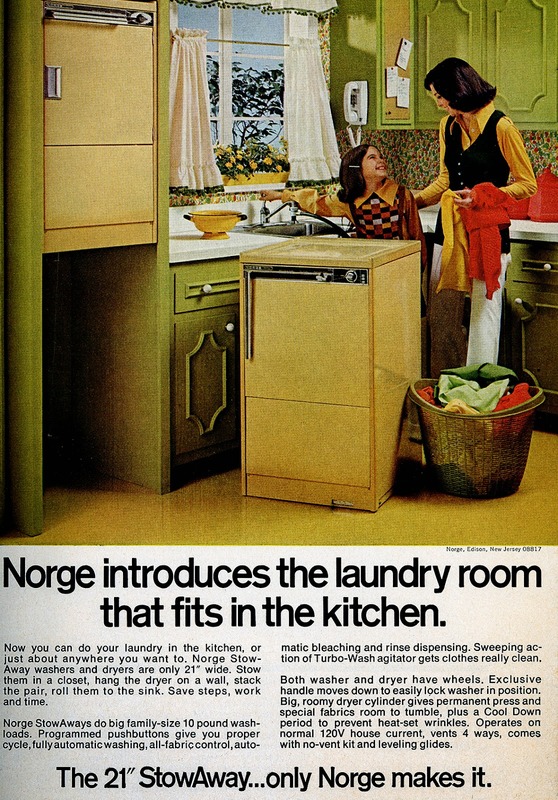 Judging by the impeccable color combo of Harvest Gold and Avocado, and noting the gigantic wide-spread collars and sweater vests, there is little doubt that we have landed in suburban America in the mid-1970s. It surprises me that the portable washer—no fixed plumbing required, as it hooks up to the sink—was still in use then. I'm even more surprised at the size of the appliance. At 21 inches wide, it was narrower than the computer monitor I confront daily.